It was raining last weekend (no complaints here…), which means I had to forego one of the two DIY projects that I had scheduled. 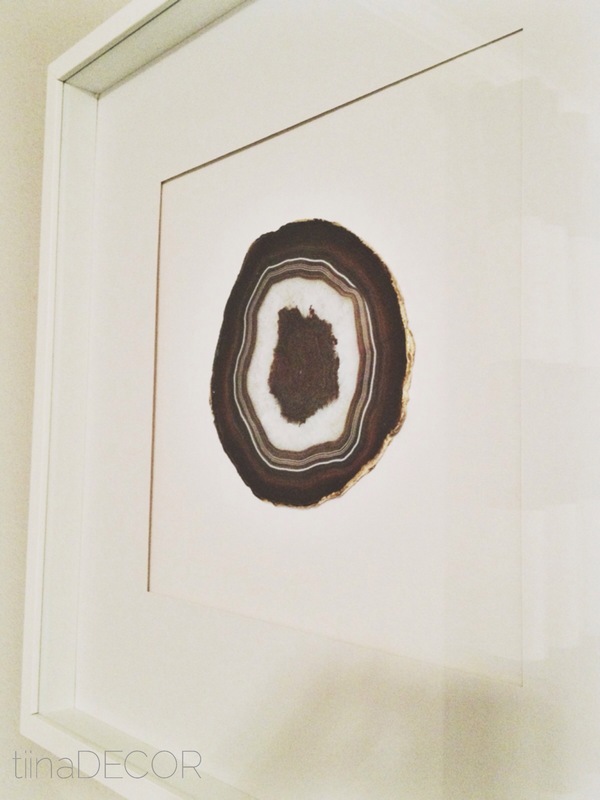 I had the chance to finally sit down and work on my DIY brainchild – framed agate pieces. I’ve been thinking about making these for… I don’t even know how long! It’s funny, because now I’m starting to see them pop up in specialty shops all over the place (Hmmm…trendsetter??). I don’t know why this has taken me so long to actually put together – I’ve had all of the pieces for for quite some time (well, actually I DO know, but that’s a whole other story…). But the rainy day sparked my creativity and some extra time – just over an hour, to be exact. The result was well worth the time and looks fantastic! 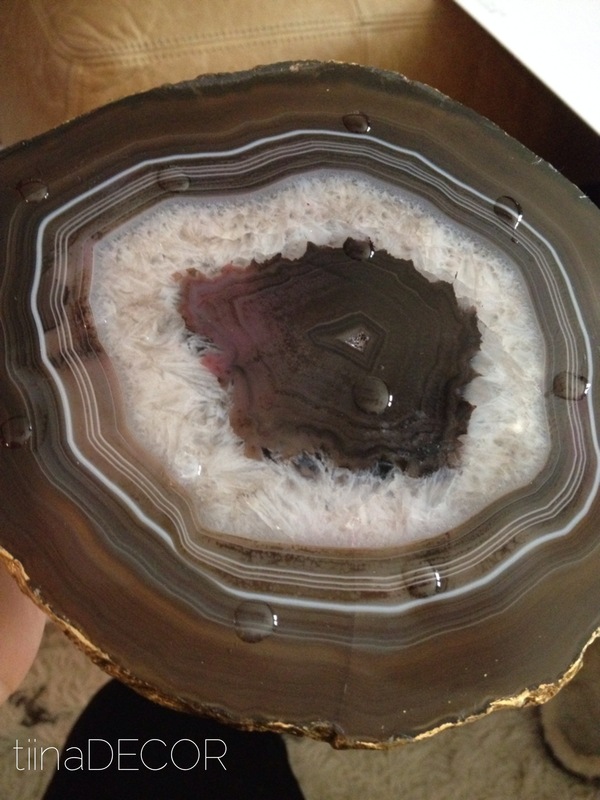 The price was right, too – considering I’m seeing pieces like this selling for over $200 each. Mine cost just over $240 all together! Woo Hoo! 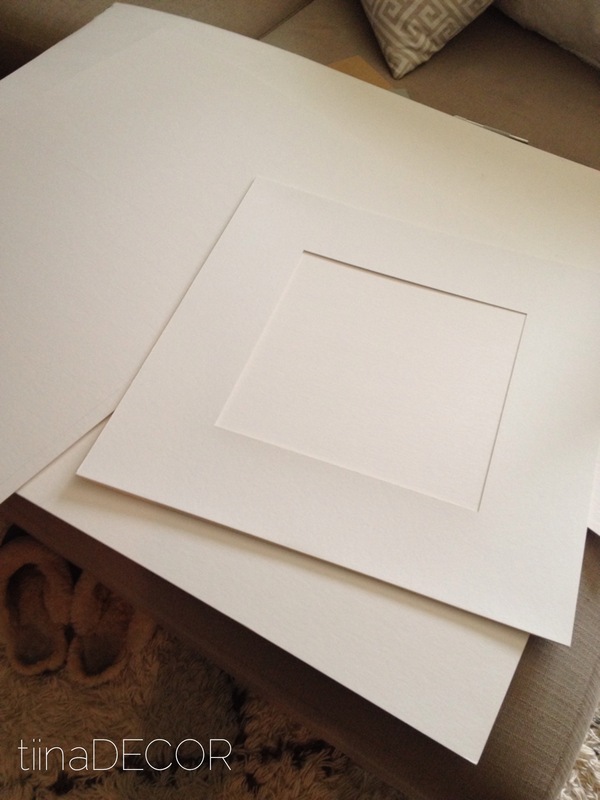 I started out with four white 20″ Ikea Ribba frames (a steal for only $19/ea). 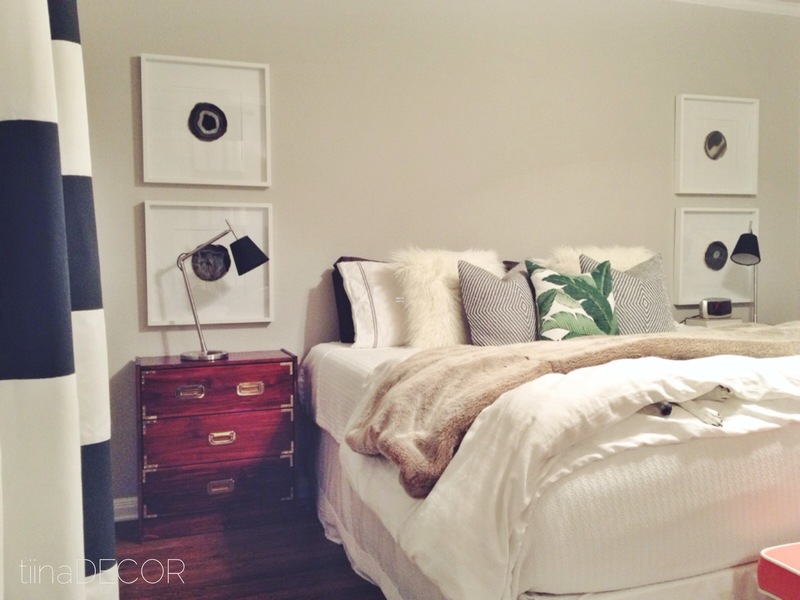 The next step was to find some agate pieces that would accent the color scheme of my bedroom. 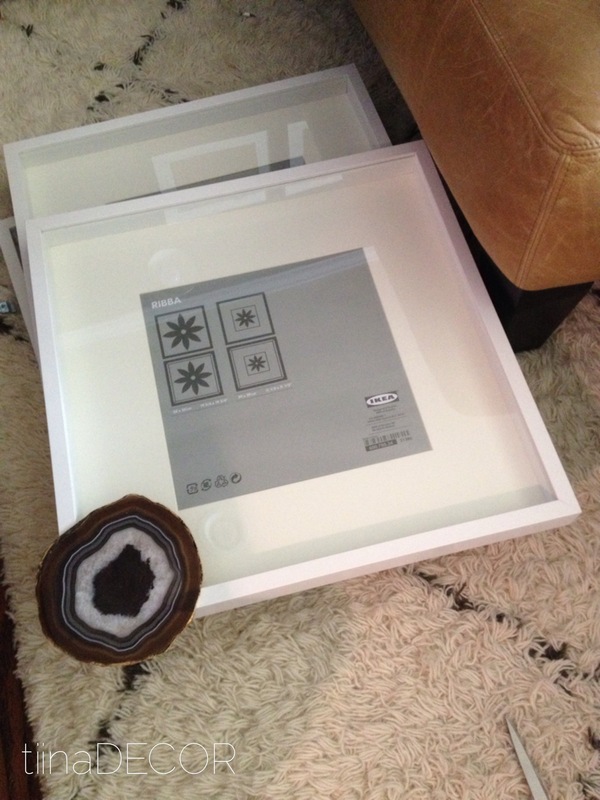 I knew that I wanted gray tones that would really pop agains the white matte and frame. 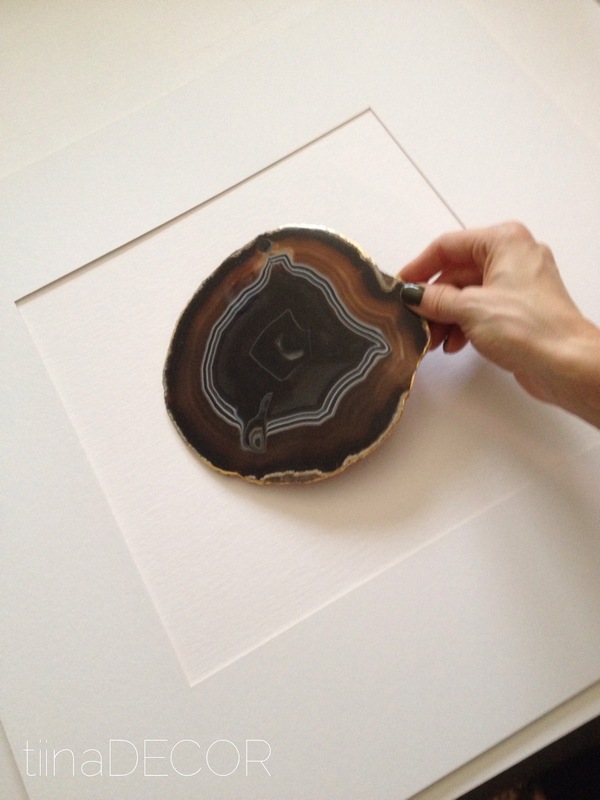 I also loved the idea of gold around the edges (similar to some agate coasters that I already had. The problem was the size. 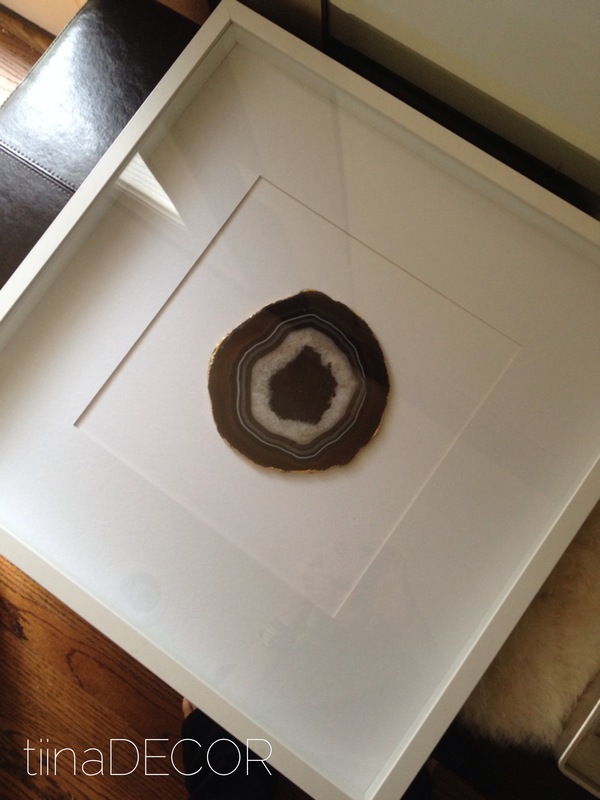 The agate pieces needed to be really substantial to balance out all of the negative space around them. I started scouring different stores and Etsy shops for a solution. The simplest solution for centering the agate on the matte was to just to use some bright white matte board (I actually had some laying around!) and then trace the existing matte as a template so that both pieces were the same size. I was still a little bit nervous to set them up on their side, so I laid them flat overnight just in case. …and here’s the finished product in all their glory! I’m SO in love with these pieces, and they were really easy to put together. 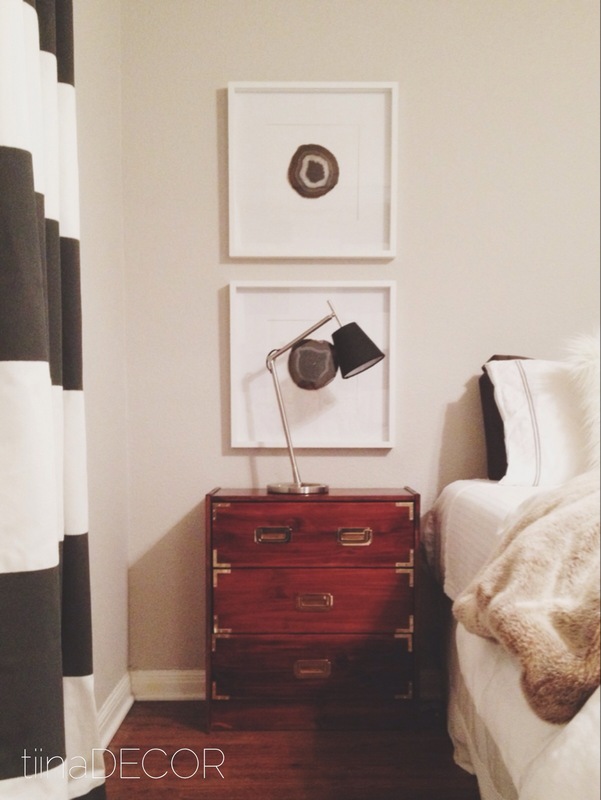 Such a simple project that screams chic!